Wilder, Alec [Alexander] (Lafayette Chew). , Sonata No. 2 for flute and Piano. Wilder, Alec [Alexander] (Lafayette Chew). 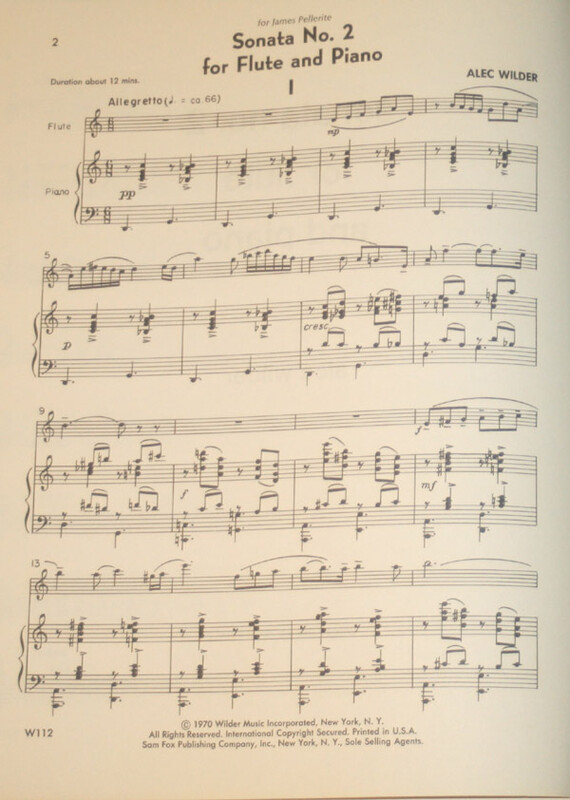 , Sonata No. 2 for flute and Piano. Wilder, Alec [Alexander] (Lafayette Chew). Sonata No. 2 for flute and Piano. Plate W112. Score (20 pp.) and part (8 pp.). G, some wear at extremities. Written for and dedicated to James Pellerite. Self imprint, worldcat finds no copies. An unclassifiable �American original� --Gunther Schuller, Grove Online. 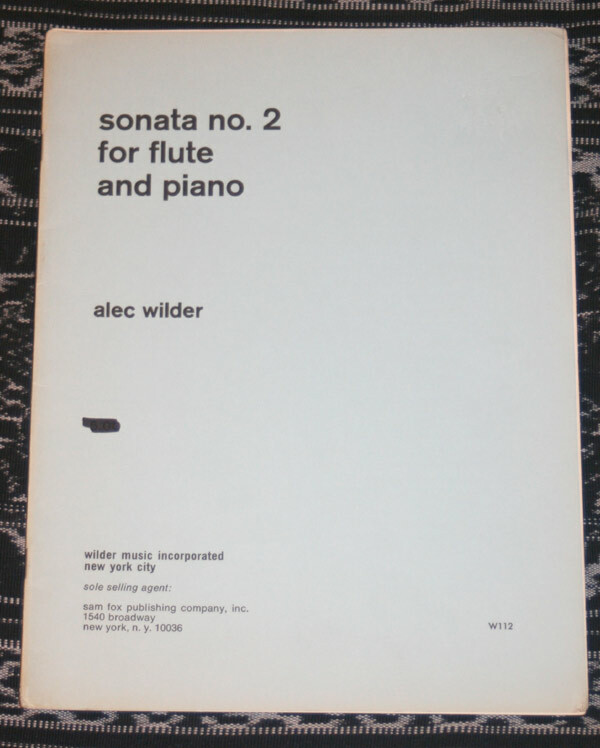 Wilder (1907-1980) was the author of I'll be around, Sea Fugue Mama, and Elegy for the Whale for tuba and orchestra. With all the beauty of their disarray. That blew like gossamers about the day. Who was this creature, dancing past? The Black-eyed Susans set their heads asway. And whispering words too wild for me to say. And then I heard "The Wind am I! And dance with stars and waves upon the bay." To greet the dawn who walked on hilltops gray.